Lemon Poppy Seed Pound Cake - Classic dessert for spring and summer! 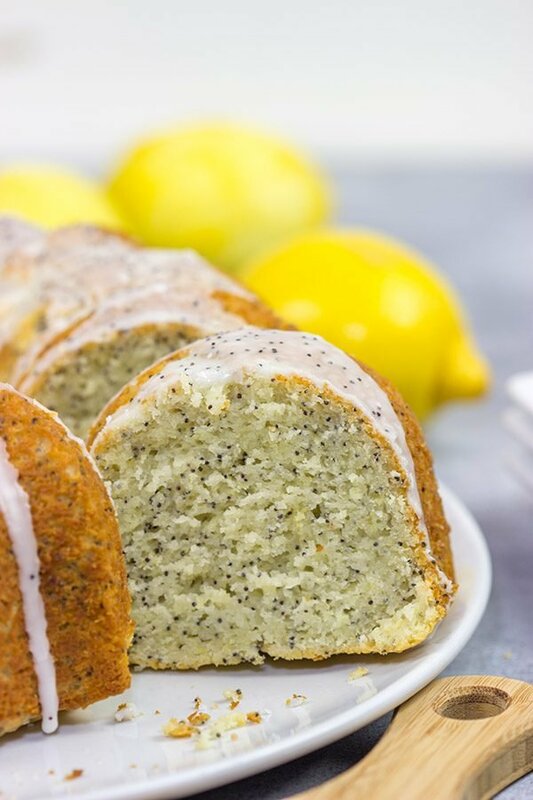 With a bright lemon flavor, this classic Lemon Poppy Seed Pound Cake is a tasty treat for warm spring and summer days! Once you leave college, meeting friends and new people is a downright pain. Do you go to a bar to meet new friends? “Hey. My name is David. What do you like to do for fun?” I’m pretty sure the police would be on the way to have a chat with me. On the flip side, maybe I could make friends with the officer! In all seriousness, meeting friends as an adult isn’t easy. For us, the Schenectady Curling Club changed everything. I met a group of guys there, and we’ve become good friends. We curl together, we drink together, we help each other move furniture, they eat my extra desserts. That’s how we roll. Over the past couple of years, our friend group has expanded to include other parents from Robbie’s preschool class. The conversations might be more centered around our kids, but that’s ok. We still enjoy hanging out for play dates. After all, play dates mean the kids get tired…and that leads to easy bedtimes later that night. Bonus! Food is a universal language, and the conversation soon turned to baking. Our new friend had been stalking some of my cakes, and she commented that they looked delicious but she could never make them. I immediately objected. If I can do it, then you can do it! This led to us having a dinner play date with the kids where I taught her how to bake a cake. In turn, I’ve asked her to teach me how to make some of her incredibly tasty Indian recipes. I bake cheesecakes at least one day before I want to serve them. Once baked, I wrap the cheesecake (pan and all) in plastic wrap and pop it in the freezer. The next day, I rotate the frozen cheesecake over a gas burner on the stove for about 30 seconds. This loosens the edges enough to pop open the springform pan. Nice and easy way to get the cheesecake out of the pan! The oven makes a great proofing box for bread. Sure, it’s not a real proofing box, but it’s a nice confined spot with no drafts. I typically heat the oven to just 100°F or so and then turn the oven light on. It’s a great place to let bread dough rise. Magnetic nesting measuring cups. This has seriously saved me so much time over the years. I don’t have to go digging through the drawer looking for whatever size I need. It’s right there nested with its friends. Another tip I picked up years ago actually came from this very recipe. I made this Lemon Poppy Seed Pound Cake for my coworkers back when I worked in college athletics. It was a random Friday, and I felt like bringing something in. My Mom used to make this pound cake when I was a kid, so I decided to try my hand at it. It turned out great…except the bottom of the cake was super salty. Huh? I couldn’t figure this one out. Then it hit me that perhaps the kosher salt I used in the recipe sunk to the bottom of the pan while it baked. I’m not sure if that was the problem, but I only use table salt when baking now. Kosher salt for cooking. Table salt for baking. With that, I leave you with this Lemon Poppy Seed Pound Cake. 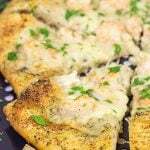 It’s a tried and true recipe that’s been a family favorite for as long as I can remember! Happy baking, my friends, and feel free to share your baking tips and tricks in the comments below. 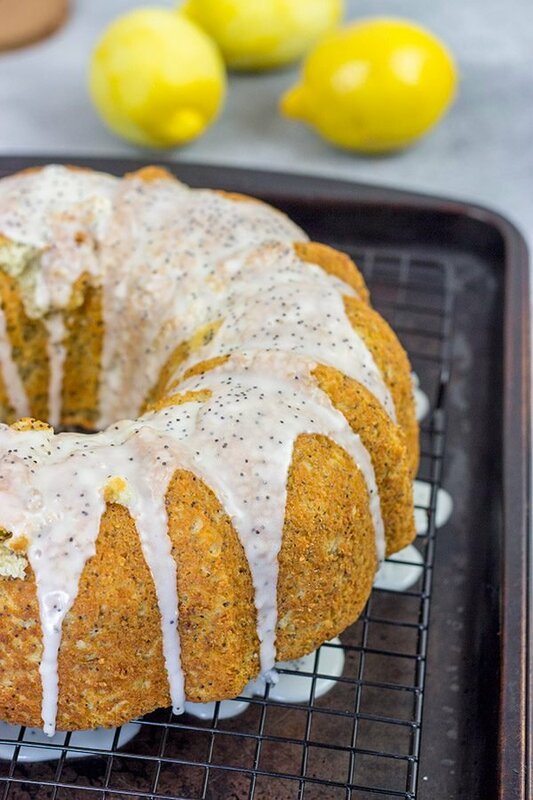 Did you make this Lemon Poppy Seed Pound Cake at home? Leave a comment. Or snap a photo and tag me on Instagram (@Spicedblog)! Spray a standard bundt pan with nonstick baking spray; set pan aside. Using a large bowl, add flour, baking powder, baking soda, salt and poppy seeds; stir until well combined. Set flour mixture aside. Using an electric mixer, cream butter and sugar together until light and fluffy (3-4 minutes on medium speed). Add sour cream, eggs, lemon juice, vegetable oil, vanilla extract and lemon zest; mix on low speed until well combined. Add flour mixture; mix on low speed until well combined. 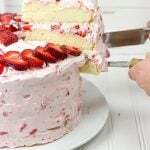 Bake for 50-55 minutes, or until a toothpick inserted into cake comes out mostly clean. Let cake cool for 30 minutes before inverting onto a wire rack. Using a small bowl, whisk together powdered sugar and lemon juice until smooth. Drizzle glaze on top of cooled cake. While glaze is still wet, sprinkle poppy seeds on top. 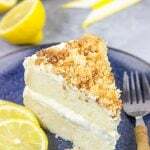 I’m obsessed with lemon in the spring and I actually have all the ingredients for this cake right now–except lemons because I just used all of mine in a recipe. Do you think my neighbor would notice/care if I stole some lemons from her tree? Because I NEED a slice of this today! Have a great weekend! Yes! We definitely share similar tastes, Kelsie…I can’t get enough lemon in the spring. From cocktails to desserts to even grilled lemons (try that one sometime!). 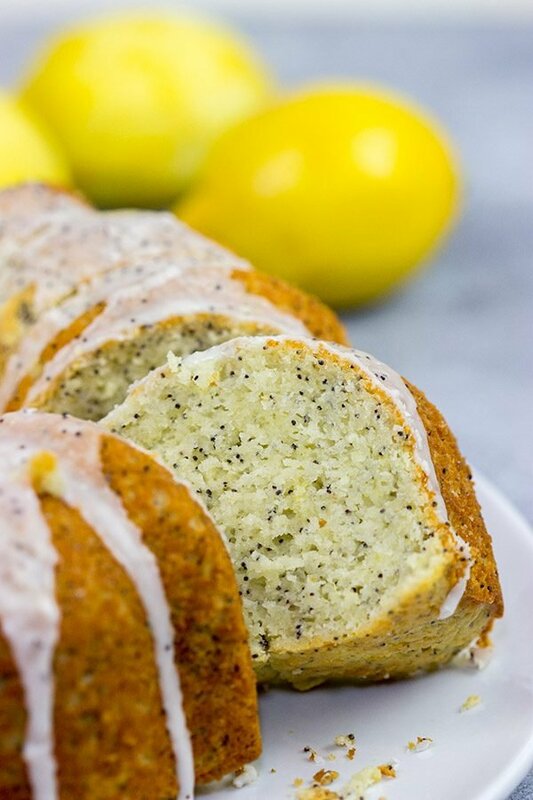 I don’t think your neighbor would mind if you borrowed a couple of her lemons…especially if you repaid her with a slice or two of Lemon Poppy Seed Pound Cake! 🙂 Hope you had a great weekend, my friend! Hahaha – I’m 200% sure I would blow a whole bunch of things up if I ever switched roles with Laura too! As an adult it’s not easy making friends – I found that to be the case more so than ever when I moved to Athens away from a very small group of friends back in Atlanta, and only did the food blogging thing! Don’t get me wrong – I love my blogging online friends but I missed in-person communication so much. I joined a photo club and then got a job at UGA to try to make some friends but left UGA recently as I transition to another one… so glad you have your curling buddies and Robbie’s friends parents too – oh, and does that mean you will be sharing more Indian inspired dishes on here? Btw – LOVE the oven to proof and did not know that about kosher salt so thank you! Also – good golly – this pound cake is epic! 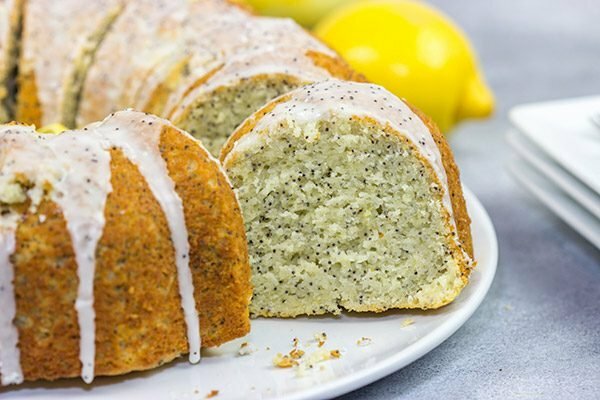 I so love lemon these days and lemon + poppy seeds in pound cake form is simply bliss! Hoping y’all have a wonderful weekend, my upstate NYC friend! A new job, eh? I need to get the scoop, Shashi! I’ve managed to deal with the lack of personal interaction at work (minus online buddies, of course), but I find myself needing to get out of the house later in the day. The curling club is perfect for cold, dark winter nights. In the summer, I’ll even settle for a trip to the grocery store just to see people. Haha! And, yes, I’d say there is a good chance I’ll be sharing some of those Indian-inspired recipes. Stay tuned…we shall see! Hi David! I’ve been thinking of making a bundt cake for a while now, I just couldn’t decide of what kind. Thank you for your assistance! I’m headed to town to do some errands this afternoon so I will pick up a bag of lemons and some poppy seeds. Can’t wait to make (and eat) this lovely cake! Perfect for Sprng I might add! It is hard to make new friends, especially when you move to a very rural area like we did, but we have a small closeknit group of friends here and I stay in regular phone contact with friends back in MI. Enjoy your weekend! That’s awesome that you stay in contact with your friends back in MI. I’ve never been great with phones and staying in touch with friends. Texting helps a little bit, but it’s not the same. Either way, I hope you had a great weekend, Dorothy! Haha! Laura is a materials engineer, so she works on creating new alloys. I like to say she does magical things like turn charcoal into diamonds, though. I mean that’s way more fun, right? 🙂 Thanks so much, Valentina! I agree that lemons don’t get enough attention. I’m guilty of that, too. I love lemon flavored everything in the early spring, but as soon as berries roll in, I switch my focus over to those. I blame my tastebuds! Thanks, Ben! David, your lemon poppy seed cake looks moist and tasty. Lemon poppy seed is my favorite muffin, so why not a cake. Friend making is difficult and I think made even more difficult since the advent of smartphones. Everybody is piddling on their phone instead of socializing. 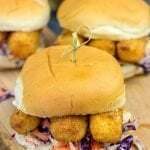 Hope all goes well with your curling club fundraiser. No ice, no curling. Have you ever played Kubb? It’s a great summer game for young and old. Exactly! If it works as a muffin, then it should totally work as a bundt cake, too! You’re totally right that smartphones have changed the way we communicate. In some sense, they help us stay in touch with folks (Facebook), but in other ways we already have our heads buried in a phone rather than just talking with people. The ice fundraising is going well. It looks like we’ll likely be able to give the project a green light for this summer, but we’ll need to take some loans to do it. Ice is kindof a critical part for curling, though, so it’s a necessary expense! And no, I haven’t tried Kubb yet. I’m going to google that right now! Yes! Lemon is totally undervalued when it comes to desserts. 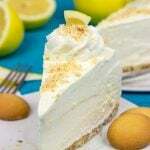 Chocolate, berries and other flavors usually take top billing, but lemon is quite tasty in its own right! We’re just starting to turn warm here (we spend the day outside yesterday…without a coat…for the first time). I’m ready for spring to finally arrive! What about you? Getting warm yet? Those are some great baking tips! 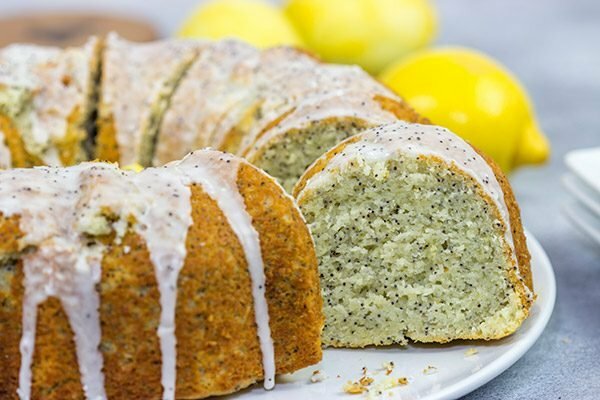 I love lemon and poppy seed! They are a perfect pairing. Add them to a cake and you have a perfect dessert! Thanks for sharing this great recipe – I’ll need to bake one up for some of my friends! Thanks, Kathy! Those baking tips are pretty random, but I realized there are a lot of things that I do in a kitchen that never make their way into the actual recipe. I figured someone else might benefit from some those tips! 🙂 Hope you and the family had a great weekend! 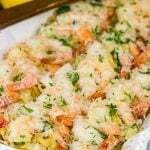 And this recipe – YUM! 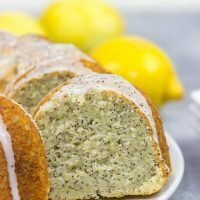 I love the combination of lemon and poppyseed. Delicious. Thanks, Alexandra! I know some of those baking tips are pretty random, but they are helpful little tricks that I’ve picked up over time. The cheesecake one is one of my favorites. Sure, you have to plan ahead a bit more since the cheesecake gets baked at least one day before serving. But it’s so much better than making a mess getting the cheesecake out of the pan! Plus, if you slice the cheesecake while it’s still mostly frozen, you can get those perfect looking slices like you see in restaurants! 🙂 Thanks so much, my friend! It really is tough making friends after college, but it makes so much sense to meet people over an activity that you both enjoy. Awesome that you and Laura have your curling club. The texture of your pound cake is absolute perfection, David! And you can never go wrong with lemon and poppy seeds! Yeah, it really is crazy how difficult it is to meet folks as adults. As they say, find a hobby! Laura and I did that, and it literally changed our entire outlook about upstate New York. 🙂 Thanks so much, Marissa! David, thanks for the baking tips, the one about the cheesecake is brilliant! Going to have to give that one a try! I love lemon and poppyseed cake, muffins , bread, whatever I just love it! Thanks for the recipe and the inspiration! Laura’s work sounds so fascinating! That’s some pretty awesome stuff! David, this cake looks so moist and delicious. Such a lovely cake to have at tea time! Your curling club is so lucky to get your extra desserts! Yeah, I agree! Laura does do some pretty cool stuff at work…even if I don’t entirely understand it. 🙂 What I do understand is cake. And I love this lemon poppy seed pound cake! Haha. Thanks, Kelly! Right?! It ain’t easy!! Unless you have friends that introduce you to new people. Oh well….I guess less friends means more cake for me. Ha! Just kidding. Kinda 😉 LOVE lemon in baked good and this pound cake is just calling my name right now. Where’s the coffee?? You make an excellent point here, Dawn. Meeting new friends is definitely a challenge, but it’s faster once you meet a couple of friends. I say just walk around with pound cake all the time. I think you’ll make a lot of new friends! 🙂 Lemon + poppy seed is a classic combo, and I always think of these in the spring for some reason. Either way, pour me a cup of that coffee, and I’ll bring the cake!